Is typical for the small to medium size boat. Sails are made out of woven fabric together with Crosscut panel layout. Excellent value for money sails with both high performance and durability. Is for the offshore and blue water sailor. All sails engineered and reinforced for rough sailing conditions. Top quality mainsail and headsail woven cloth with crosscut panel layout or cruising laminate with refined full radial panel layout. Cloth and fiber selected based on boat size and use. Options like Polyester, Pentex, Kevlar, Vectran and Carbon. The ultimate in sail construction and the choice for boats over 40´ to Mega Yachts is D4 Load Path Technology. D4 features yarn trajectories that not only address loads from the corner but also those concentrating at reef- furling reef points. Rugged taffetas feature anti-microbial coating to stop mildew together with UV-resistant coating. 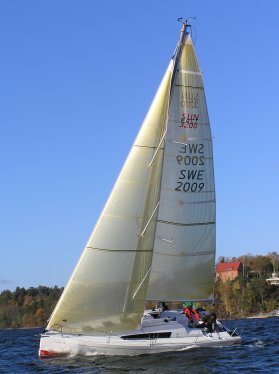 Includes sails for club race to grand-prix. Constructions and fabric used are built and proven successful on the racecourse. Side by side we use all the assets to continually refine and develop the sails. 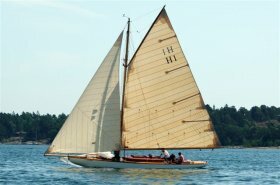 Our goal is the same that of our customers sails which give an edge over the competition. Along with this we spend a lot of time racing with our customers all to bring home the silver and analyze the performance of our sails. Chose of top quality woven yarn tempered cloth with crosscut or fancut panel layout or laminates with refined full radial panel layout. Cloth and fibre selected is based on boat size and use with options like Polyester, Pentex, Kevlar and Carbon. The no.1 choice and the ultimate in construction for racing sails is the D4 Load Path Technology. D4 features yarn trajectories that not only address loads from the corner but also those concentrating at reef points. D4 offers the largest choice of fibres, including Kevlar, Vectran and Carbon all combined to make a membrane with lowest stretch available at the market. Sails with classic look but made with modern design and woven fabrics. 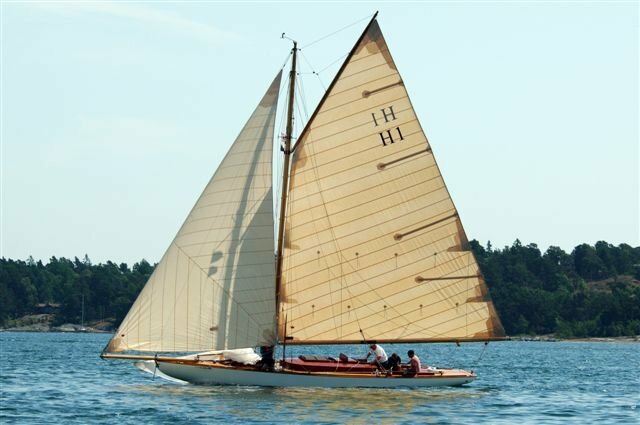 Sails with the nice feeling of classic look and make an old boat look complete. Design for cross- or mitre cut and proven shapes also for gaff mainsails and flying headsail. We also offer traditional corner and handwork.